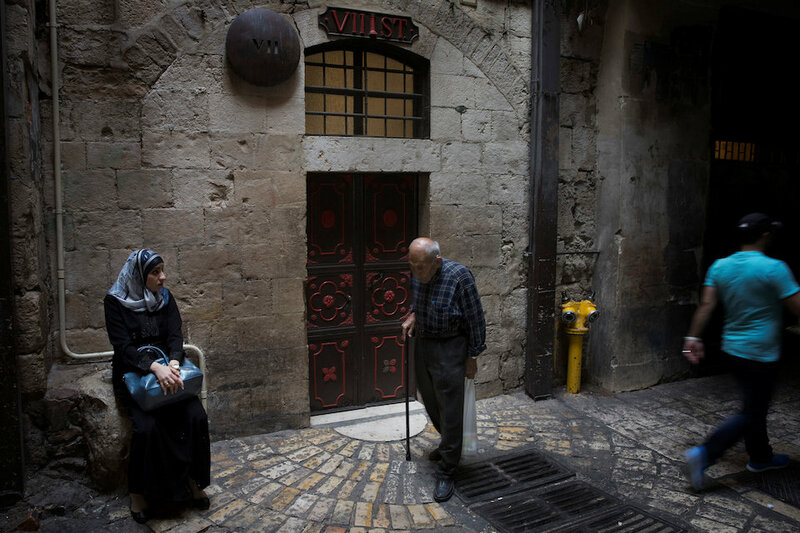 JERUSALEM (Reuters) – A half-century after Israel captured East Jerusalem, the holy city remains deeply divided by politics, religion and ethnicity – and struggling with grim economic realities. A treasure fought over for millennia, it is also one of the poorest areas under Israeli control. About 45 percent of Jerusalem’s nearly 900,000 people live below the poverty line, compared with 20 percent of Israel’s national population. 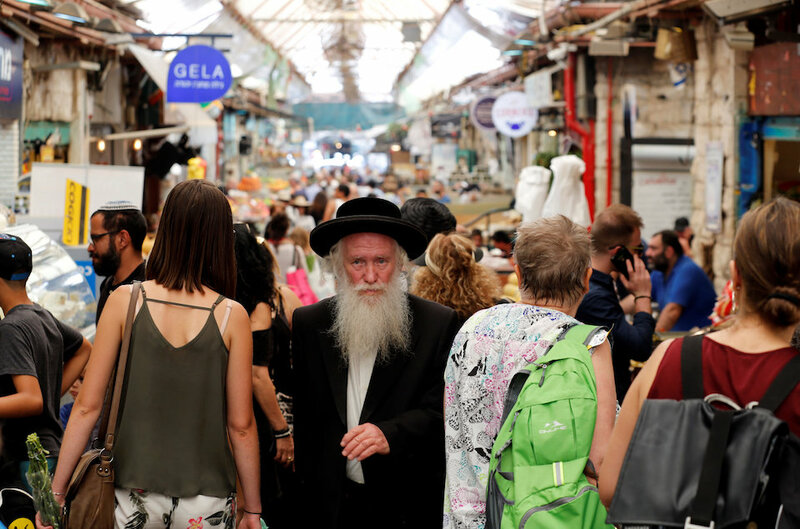 The poorer groups in Jerusalem are the fastest-growing: ultra-Orthodox Jews, or Haredim, who make up a fifth of the population and Palestinians, who comprise more than a third. 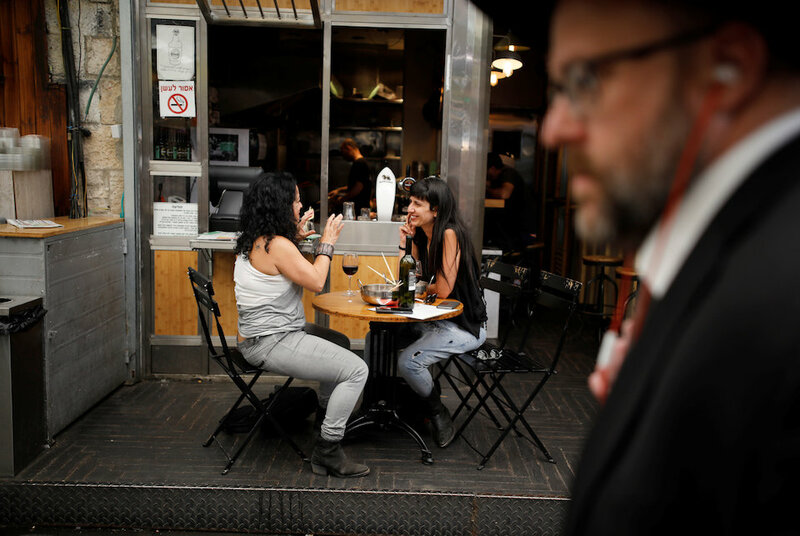 Many young, secular and educated Jewish residents are opting to leave, alienated by the religious atmosphere and high living costs, said the Jerusalem Institute for Policy Research (JIIS) think tank. After the 1967 Middle East war, Israel annexed the Arab east of the city to the Jewish west to create what it regards as its united, eternal capital. Palestinians in East Jerusalem complain of second-class status and official neglect. “Jerusalem is a city that faces substantial challenges economically and that is partly because of the population that it houses,” said Naomi Hausman, an economics professor at the Hebrew University. Israel is this week celebrating the 50th anniversary of the capture of East Jerusalem. Its claim to the whole of the city as its indivisible capital has not won international recognition. Palestinians want East Jerusalem to be the capital of a state they seek to establish in the occupied West Bank and in Gaza. About 80 percent of Jerusalem’s Palestinians and about half the Haredim live below the poverty line. Haredi men generally dedicate themselves to religious study and few Palestinian women have jobs. Only 58 percent of Jerusalem Jews are in employment compared with 64 percent nationally, and just 40 percent of the Palestinian population work, according to Israel’s Central Bureau of Statistics (CBS). 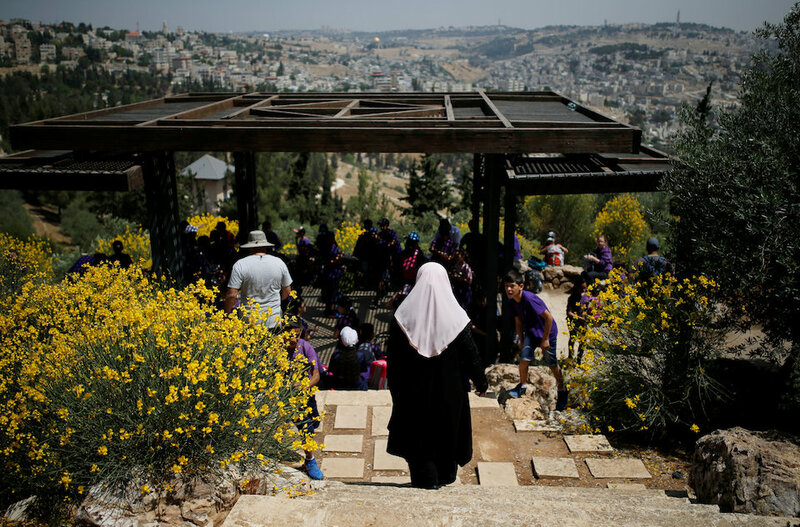 Each year, about 8,000 more people leave Jerusalem than move to the city, according to CBS data, with much of the exodus made up of young Jewish people frustrated by the high cost of living and lack of job opportunities. Ilana Butrimovitz left San Francisco for Jerusalem but spent barely a year there before moving away. 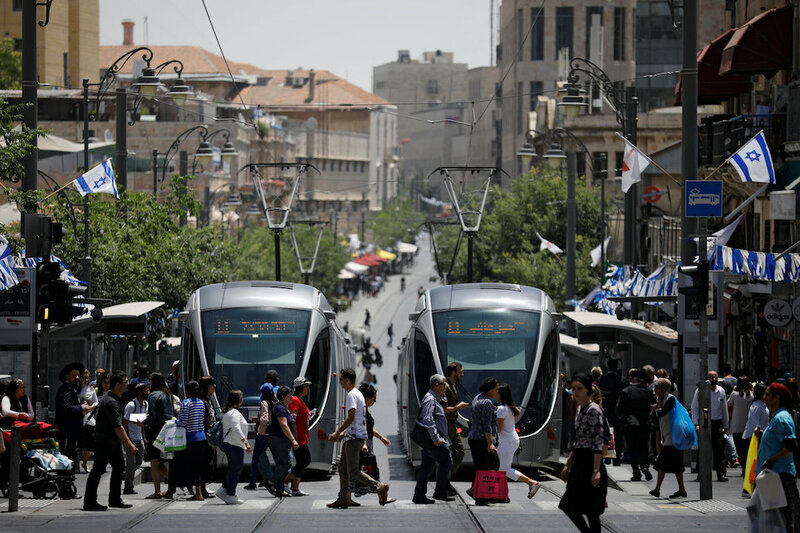 Jerusalem’s light rail line threads its way through the city’s contrasting zones – past Haredi neighbourhoods where men in black garb walk the stone alleyways, by downtown cafes and pubs, alongside the walled Old City and to a sprawling new business quarter. “It’s a city where everyone knows how to live together in equilibrium on a daily basis. There are also, obviously, divisions and surely the east-west division is the biggest,” said Hausman. Palestinian men are often employed on the bottom rungs of the labour market ladder, according to the JIIS. Israeli businesses are often reluctant to employ Arabs, Hussam said, and some jobs are off limits for Jerusalem’s Palestinians, who do not hold full Israeli citizenship, but are designated “permanent resident”. Some public sector jobs require full citizenship, and some employers want staff who have served in the Israeli military. “It fills one with despair, with anger, with frustration,” said Hussam, adding that he planned to leave for Europe. Residential and business taxes in the city are among Israel’s highest, meaning higher-earning residents are propping up the poorer ones. “Dynamically, doing this local redistribution is extremely problematic for a city, it can cause the city to attract more and more non-working and low-skill types until the city is in a poverty trap,” Hausman said. Maya Chosen, senior researcher at the JIIS, said Israeli authorities were finally acknowledging they needed to intervene. Since 2016, Israel has allocated almost a billion shekels (around 193 million pounds) to a five-year plan to improve the business environment and expand tourism. One goal is to boost the city’s high-tech sector and entice more start-ups to move there. “They are trying to draw stronger populations, engineers, upper-middle class, to balance the weaker populations in Jerusalem,” said Tzah Berki, senior vice president at Dun & Bradstreet Israel. Between 2012 and 2015, high-tech investment in Jerusalem more than quadrupled to $243 million, according to the JIIS. The Palestinians of East Jerusalem say they have seen little of the benefits. “It’s just not on the radar of East Jerusalem’s residents,” said Nisreen Alyan, head of the Jerusalem Programme at the Association for Civil Rights in Israel (ACRI). 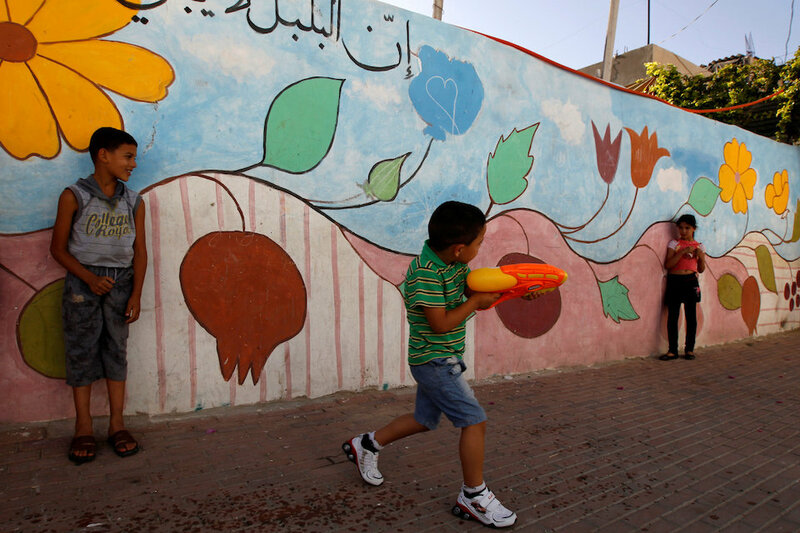 “There is barely a school that teaches IT in East Jerusalem. In terms of location, the companies are inaccessible and most East Jerusalem residents don’t speak Hebrew.” The drop-out rate among high school seniors is 30 percent. Only 10 percent of the municipality’s budget goes to East Jerusalem, Alyan said. Jerusalem’s mayor, former high-tech entrepreneur Nir Barkat, does not dispute there is a gap between the west and east. But he says it is a result of a shortage of funds and bureaucratic red tape going back decades to when the east was under Jordanian rule. “It’s not politics, it’s poor management and we’re catching up,” he told Reuters. Youssef Qarain, a 73-year-old barber in East Jerusalem, recalls the day when the 1967 war broke out. Fifty years later, he sees little chance of Palestinian prospects improving. “Simply, when you are under occupation, what can you hope for?” asked Qarain.